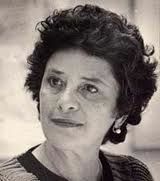 Claribel Alegría, who was born in Nicaragua in 1924, but raised in El Salvador, beginning a life of exile that included Chile, Mexico, Paris and the island of Mallorca, is a poet heavily influenced by the revolutionary struggles of the Central American peoples against the dictatorships of the middle and later parts of the twentieth century. She was closely associated with the Sandinista movement in Nicaragua, and after the overthrow of the Somoza regime, she returned to that country in 1985 to help in the reconstruction process (which has since gone so badly wrong under successive, corrupt regimes, including that of Daniel Ortega). In her assessment of the poet, Marjorie Agosín has written of the ‘multifaceted work of Alegría, from her testimony to her verse . . . 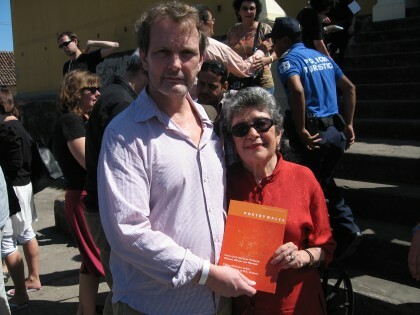 In this woman’s furious, fiery, tender and lovesick words, the marginalized, the indigenous recuperate spaces, resuscitate their dead, and celebrate life by defying death.’ While many of the early poems focus on the revolutionary conflict, Alegría has also written numerous love poems, as well as novels and children’s stories. As a feminist, writing of the marginalized lives of Central American women, her work has emphasized the restorative power of collectivity and continuity. children left to roam the streets. and ran away to hide. I am writing this letter on my birthday. I received your present. I don’t like it. Always it’s the same old story. and go on the street to tell the world. you playing chess with Grandfather. began to lose its timbre. and you with that face that doesn’t change. in order to get to me. the walls seemed more white. you were signalling to him. I forbid you to return. and your offerings don’t interest me. Your greeting is a locked room. and you were a friend of my father’s. trying to force a meeting with me. all lost in your pupils. Nothing will stop you winning. I knew it at the start of my letter. Translations from the Spanish by Richard Gwyn, first appeared in Poetry Wales, Vol. 46 No. 3 Winter 2010/11. I landed here as I was searching more information on Marjorie Agosin after being enlightened and struck with Awe reading her Absence of Shadows. The visit was worth because now I know about Claribel Alegría and will read her soon. When was “Letter to Time” first published? Hi Haley: I think the poem was written in the 1950s or 1960s (can’t be more precise as i don’t have my books here with me). There is a collection of her work in English, translated by Carolyn Forche, Flowers from the Volcano, published in 1982.